through new ground and sod, compacted soil… even hard clay. At 16" wide, it makes short work of big yard jobs! And even with all this width and power, the tiller weighs just 34 pounds! 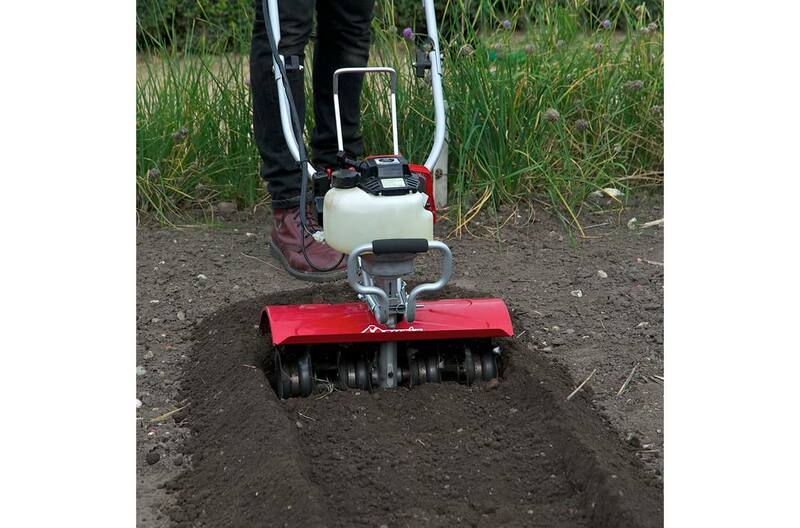 Once your garden is established, you’ll use the Mantis XP 16" Tiller/Cultivator to weed it quickly and easily. 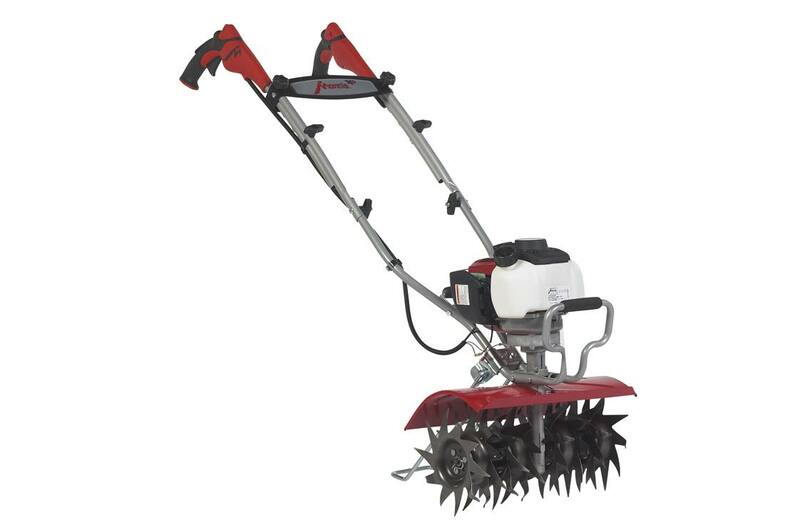 Generous 16”-wide tilling width: Makes it faster to create a garden or prepare and existing garden for planting or expansion. 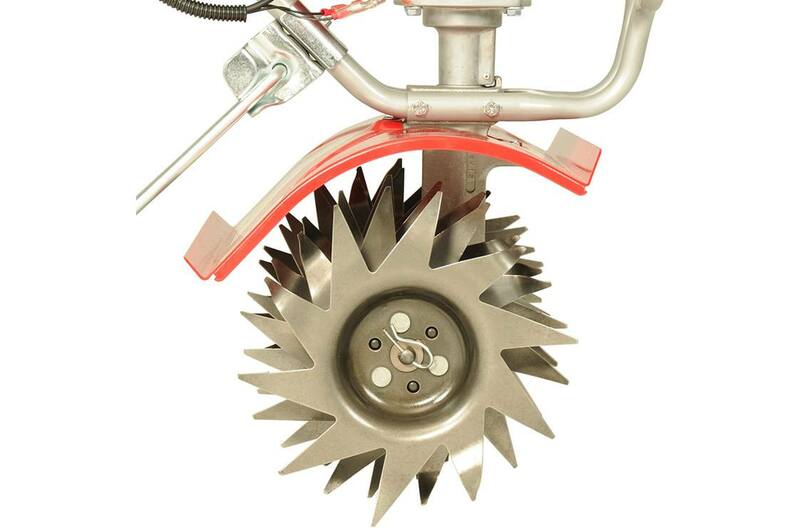 Innovative Transmission Design: Gear design and specially designed tine geometry generate maximum speed for digging and cultivating, Delivers maximum performance with minimum weight. 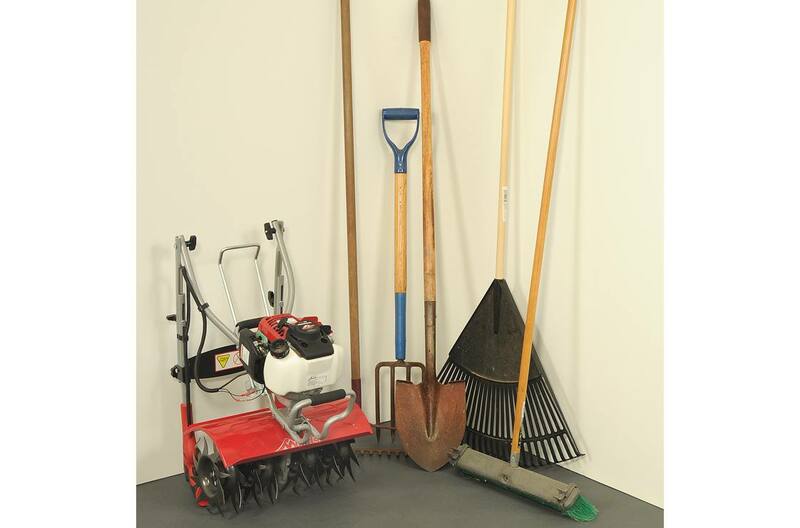 Soft, Sure-Grip Handles: Over-molded grips for supreme comfort even when using the tiller in rocky soil. Ergonomically flared for maximum wrist-comfort and fatigue-free operation. 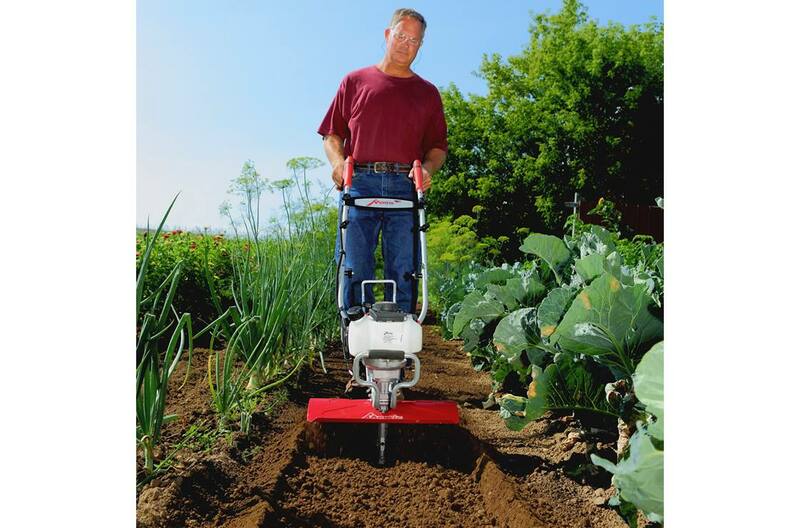 10" Tilling Depth: With The Mantis Tiller/Cultivator you can till up to 10" deep. You’ll have better soil. And better soil is the foundation of better gardening. Adjustable Handle Height: Easily adjust handles to a height that’s just right for you. Compact Design: The Mantis® XP Extra-Wide 4-Cycle Tiller/Cultivator easily gets into tight places where big, front-tine tillers can go. Lightweight – just 35 lbs. Uniquely designed curvy tines: Helps Mantis dig deep even into the hardest soil, instead of bouncing around like other mini-tillers. Lifetime guarantee against broken tines… if one of them ever breaks, we’ll replace it for free. No matter how long you’ve owned your tiller. Versatile: Simply turn the special tines around, and your “tiller” becomes an exceptional power-weeder. You’ll use it all season long! Optional attachments add even more versatility. Warranty: Five Year Warranty. Five year handle-to-tine coverage. Tines are guaranteed for LIFE against breakage. Engine is warranted separately by the engine manufacturer. Tilling Depth: 10 in. or reverse tines to shallow cultivate 2 in. to 3 in. Guarantee: 90-Day Money-Back guarantee: Try it for 90 days, risk-free.